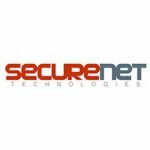 Lake Mary, FL – April 4, 2016 – SecureNet Technologies, a market-leader in security-centric IoT solutions, today announced their support for Nortek Security & Control’s popular 2GIG® GC2 security and control system. SecureNet technologies’ support for 2GIG GC2 will deliver dealers access to a smart home and security software solution that offers exclusively-branded web portal and smartphone applications. Further, SecureNet’s “always on” technology means their customers will benefit from lightning-fast response and control of both security system and smart home devices. 2GIG is one of the industry’s most popularly-installed home control systems, now proven in 3 million homes. 2GIG makes it quick and easy for security dealers to install security monitoring systems, as well as to easily add RMR-enhancing smart control and automation products to every installation. SecureNet’s SaaS interactive security, home control and video monitoring platform, provides our partner companies the ability to increase service value, enhance customer retention and create additional RMR. SecureNet’s cloud-based solution delivers real-time response and control, and seamless integration into central monitoring software, providing enhanced functionality and a superior user experience. SecureNet is a privately held company headquartered in Lake Mary, Florida, with locations in St. Petersburg, Florida; Provo, Utah; Austin, Texas; Barcelona, Spain; and Sydney, Australia. Headquartered in Carlsbad, California, Nortek Security & Control LLC is a subsidiary of Nortek, Inc. (Nasdaq: NTK) a global, diversified company whose many market-leading brands deliver broad capabilities and a wide array of innovative, technology-driven products and solutions for lifestyle improvement at home and at work. Please visit www.nortek.com for more information.